GE Additive has announced that five universities in Europe and the United States will receive metal additive manufacturing (AM) machines in Q1 2019 as part its Additive Education Program (AEP) – a $10 million investment over a five-year period that is equipping educational institutes around the world with AM capabilities. Image: Concept Laser's Mlab cusing 200R will be provided to five universities in Q1 2019. The machines to be delievered are Concept Laser’s Mlab cusing 200R, a direct metal laser melting (DMLM) machine worth more than $1.25m. DMLM machines use lasers to melt layers of fine metal powder and create complex geometries with incredible precision directly from a CAD file. The AEP, now in its second year, is intended to encourage students to pursue a career in additive manufacturing. 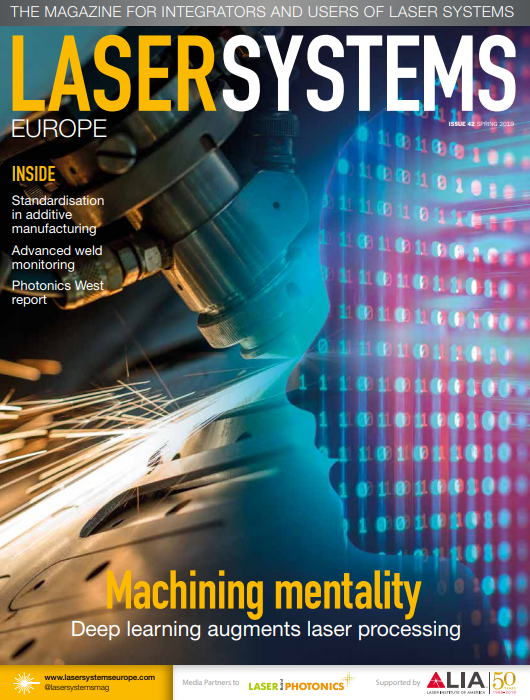 The challenges of finding skilled personnel to recruit into lasers and optics, as well as the activities carried out by photonics firms to encourage young minds to pursue a career in the industry, were the subject of a panel discussion held at Lasys earlier this month – see section 'Now hiring: skilled personnel'. So far the AEP has delivered polymer 3D printers and curriculum to more than 1,000 primary and secondary schools in 50 states and more than 30 countries, and metal AM systems to 13 colleges and universities worldwide. According to GE Additive this has granted more than 400,000 students access to 3D printers in total.